With the development of a new manufacturing concept in May 2013, soon the idea of an own Elementar building was born. In order to optimize the delivery time, the current state of our intralogistics was carefully investigated. Although the delivery time could be reduced by half by means of optimizing the manufacturing concept, the crucial factor turned out to be the in-house flow of materials. Elementar is situated in a three-floor commercial property in the industrial estate of Hanau, sharing the building with four other companies. Having grown continuously over the last 25 years, Elementar rented one part of the building after the other. Nowadays, Elementar premises can be found on every floor of the building, with two manufacturing departments in different parts. As there is no freight elevator, this creates serious difficulties concerning the flow of materials, e.g. when instruments from the test bay in the second story need to be transported to the warehouse on the ground floor. At present, the instruments are transported on carts which have to be pushed around half of the building, in all weathers, in order to reach the warehouse. The solution is obvious: more space is needed – with the production, assembly, final test, quality control and warehouse on the same floor. For this reason, Elementar entered into negotiation with the owner of the current building in order to purchase the property. At the same time, further possibilities were explored by searching suitable properties in the surrounding area. 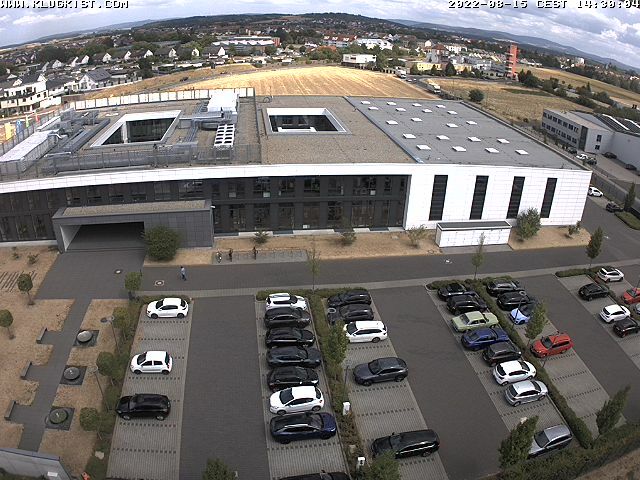 The towns Hanau, Bruchköbel and Langenselbold were evaluated as possible locations for a new Elementar building. Relatively soon, two early alternatives were rejected because of unfavorable conditions or poor connection. Only three months after the initiation – on June 26th 2013, Elementar got in contact with Langenselbold’s mayor Jörg Muth. The available area in Langenselbold’s industrial estate “Nesselbusch” fulfilled all relevant factors: the connection to the A66 autobahn and the location north-east of Hanau, in opposite direction of the typical commuter stream towards Frankfurt. In addition to that, the distance to Frankfurt Airport from Langenselbold and Hanau is the same. Reasonable local taxes and collection rates represented a bonus at this site. Since the estimated market value of the existing building and the owner’s price expectations didn’t coincide, the idea of building a new Elementar headquarter quickly took shape. Only four to five weeks after the first inquiry, an on-site visit in Langenselbold was arranged to have a closer look at the designated property. In September 2013, the development of a layout concept including a cost estimate was commissioned. Also, advisory consultations with architect Rainer von Lamatsch Kaempfe (Frankfurt) took place and first drafts of the new building were created (see banner pictures on top of the site Home!). At the end of September/beginning of October 2013, the decision was made: Elementar is going to build its new headquarter in Langenselbold’s industrial estate “Nesselbusch”. Over an area of approx. 15,000 m2 a modern building designed for 150 employees with space for offices, a production division and warehousing is going to evolve in a prominent location at the city entrance of Langenselbold. The completion of the structural work is expected for the end of 2015. In October 2016, the new head office will presumably be ready for occupancy.